Homeless among empty houses in Behchoko, N.W.T. Johnny Naedzo was living with his elderly mother until she passed away a few weeks ago. Now he's one of many homeless seeking shelter in a small community. Bobby Dryneck is constantly on the move. 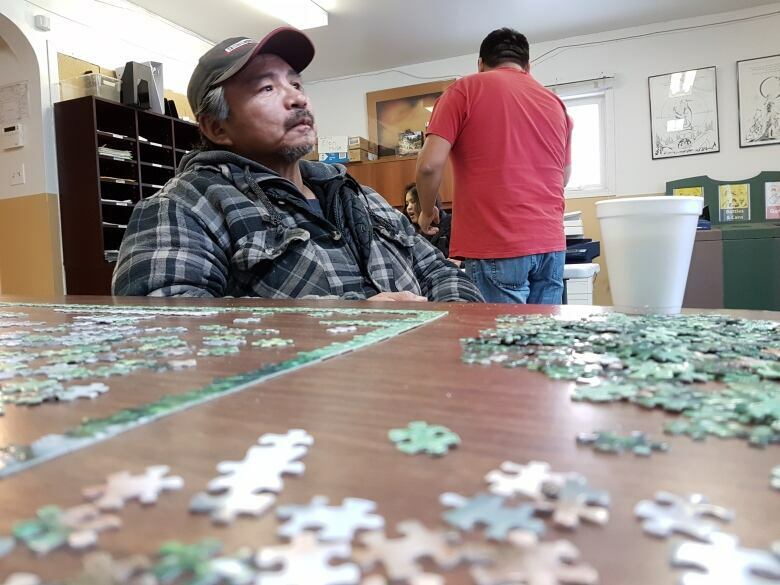 For the past two years, the 52-year-old has been wandering the streets of Behchoko, where he's lived all of his life, searching for a place to call home. "Don't have a hot bed or a hot meal. That's the problem," he says bitterly. Everything he owns is tucked away in his backpack, which is always within reach. "It's not that easy. Especially for socks. I always carry extra. I always keep my feet warm. That's the main thing for me, because outside it's cold." Dryneck is one of many homeless people in the community of about 2,100, which lies roughly 100 kilometres north up the highway from Yellowknife. Some estimate there are dozens of homeless; others say there are more than 100. Most quickly move in with friends or relatives. Others stay on-the-move. One thing is for sure, there is no shelter to go to, and few facilities for the down and out. This past spring, Dryneck was living out of his broken down van. His luck ran out in September, when his car door jammed and locked him out. Before that, he would run the engine a few minutes at a time to stay warm. Now he relies on the goodwill of friends or relatives for a night's sleep, taking whatever meal is offered and never passing up the opportunity for a hot shower. He returns the favour by helping out wherever he can. Still, he's afraid of wearing out his welcome so he keeps moving from place to place. This wasn't always his life. He says he was once a workaholic. He was a heavy equipment operator for over two decades until he was laid off five years ago. Dryneck talks with a bit of a lisp. He says he was bullied growing up because he used to stutter. He recalls getting "spanked" by his overly strict father. It still angers him. Today, he is relegated to working odd jobs. In four days, he says he made $75. He spent $40 on groceries and the rest on marijuana. He was forced to quit drinking alcohol five years ago after his liver and kidneys began to fail. 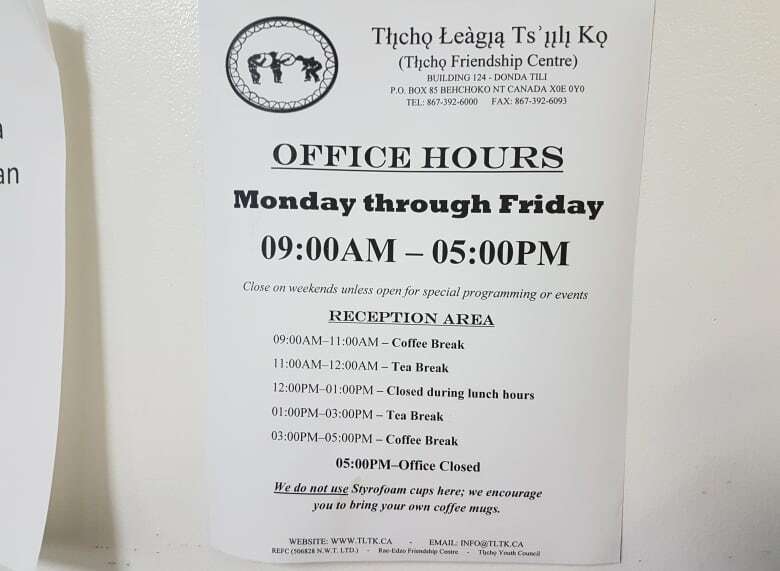 Joe Pintarics runs the Tlicho Friendship Centre. (Curtis Mandeville/CBC)"I never thought I was going to experience this," he says. "It's something that I wasn't prepared for." Dryneck hangs out at the Tlicho Friendship Centre during the day where he gets a hot cup of coffee and a cold sandwich. It buys him time to figure out where he'll spend the night. The non-profit employs six-full-time staff and dozens of volunteers, providing hot coffee, snacks and sandwiches every second day. In a couple of weeks, they'll also offer hot lunches daily, and food hampers. It's become a hub for many homeless in the community. "There are upwards of 120 people that could be coming in if we had the resources to help them," says Joe Pintarics, who runs the centre. "Given the size of the community here, this is an incredibly huge number of people that are homeless, that are living in various conditions that are sometimes really difficult to describe." That includes cabins by the dump, with no heat or running water; old warehouses just warm enough to prevent inhabitants from freezing to death. "At the same time we're struck by this insane dichotomy. We will have at any point of time upwards of 45, 50 housing units that are boarded up because Housing can't afford to fix them or they're privately owned and not occupied or there's a variety of reasons why." Johnny Naedzo, 45, spends the better part of the day at the friendship centre as well. He sits casually, facing the window overlooking the main road, his fingers clasped together and resting on his lap. He takes a sip of coffee and then sparks a conversation with a local resident dropping in to buy some bingo cards. They talk briefly in their Tlicho language. But really he is there pondering his next move. At 5 p.m. the centre's doors are locked, so he has to find somewhere to go or he will end up wandering around the community. "I gotta try to find a place to stay cause it's getting cold out there. I don't want to walk around all night." Naedzo was living with his elderly mother until she passed away a few weeks ago. 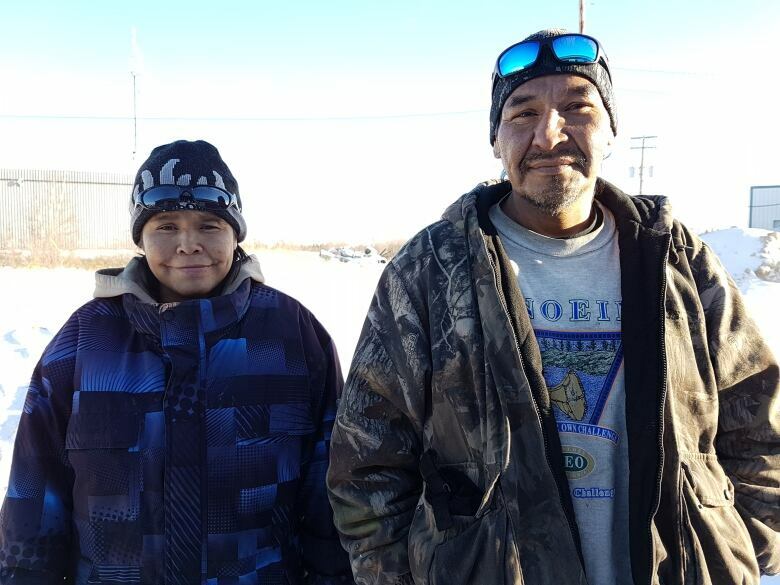 He says he was forced to leave the home because the unit was intended for elders only. But nobody warned him, he said, before the doors were padlocked and the windows boarded up. He did manage to get his clothes afterwards, but had to leave them outside in the yard. He says there is still furniture in there, but no place to put it. For a couple of nights, Naedzo says he had to sleep in an abandoned truck. "Your feet get cold. Try to stay warm but there's no heat right so you got to move around all the time just to stay warm." Naedzo has been staying with friends and relatives when possible, and constantly worrying about where he'll sleep. 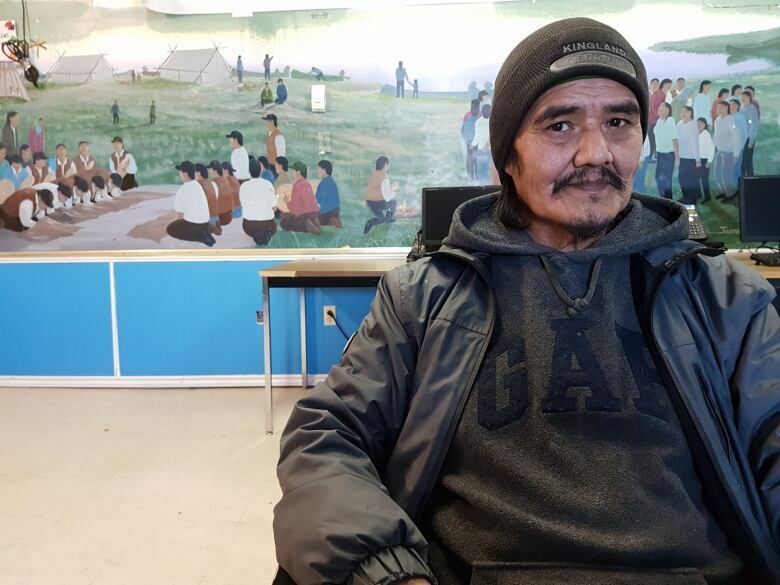 He's applied for public housing through the Northwest Territories Housing Corporation but is afraid that with over 100 applicants ahead of him on the waitlist, it will take too long to get a place. Naedzo has been battling with an alcohol and drug addiction since he was 18 years old. He got treatment two years ago but relapsed after he returned to the community. "It's kind of hard to stay sober when pretty much you got nowhere to go. And that place where you're going, they're drinking there too." 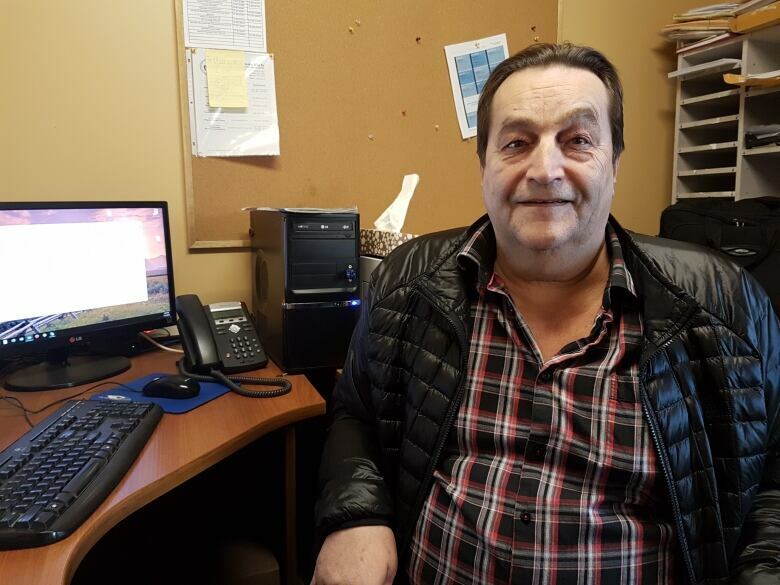 He still hopes to get his heavy equipment operator's licence, and get a job building the winter ice road. But he says his addiction, and homelessness, makes that hard to achieve. Naedzo says people are moving into cabins along the highway because of a lack of housing in the community. "That's why you see a lot of people, they build cabins on the highway. I know my brother he stays there too 'cause he's homeless." Rene Nasken lives in a cabin on the highway between Behchoko and Yellowknife. After years of running into trouble with the law he made the move about a decade ago. Nasken hunts and traps his food. He says he prefers to live off the land because it's one of the skills that was passed down to him by his father. However, he still relies on family and friends so he commutes daily to Behchoko. "We run out of smokes and coffee, and sugar and cream, and I'll go see my godmother or godfather, go visit them for awhile. And I ask them to help me out and they'll help me out." Nasken estimates that there are about 30 homeless people in the community. He says it is a growing problem. "I never seen so many... homeless people, they don't know where to go some of them." He visits the friendship centre to visit homeless friends, saying it's painful for him to witness. "Some of them they don't know where to eat. Some of them don't say anything to the family, and things like that. They're starving sometimes they don't know where to eat so they come by here." "I come here, I see some people that, I don't know what to say." 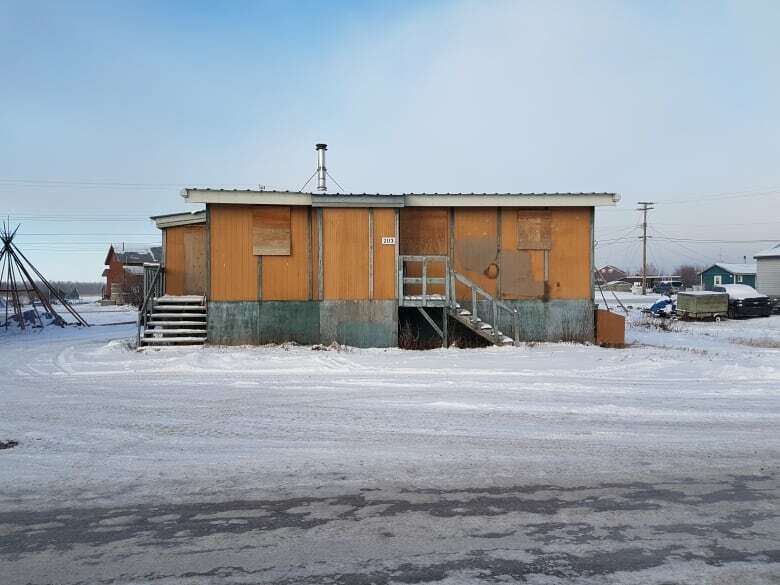 This article is the first in a series looking at housing in the community of Behchoko, N.W.T. Reach: curtis.mandeville@cbc.ca.